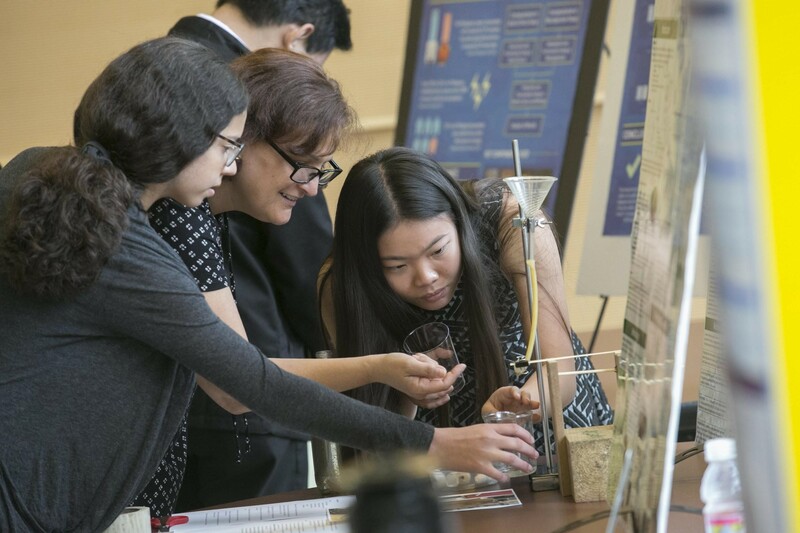 Four years ago, Lucia Muzzarelli ’19 was drawn to Stony Brook University because of its reputation for world-class science programs and ample research opportunities. So when she heard a lecture about the Turkana Basin Institute (TBI) in northern Kenya during freshman year, she knew she had to go there. “I always hoped that one day I would get to work on an archeological site,” said Lucia, a human evolutionary biology major in the College of Arts and Sciences. 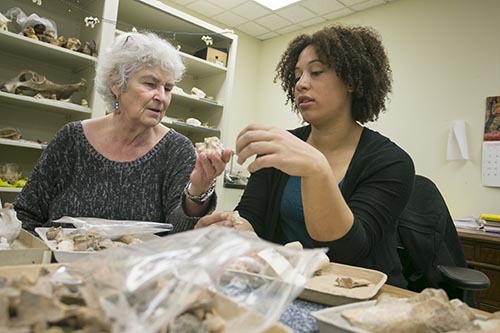 Since 2005, when legendary paleoanthropologist Richard Leakey partnered with Stony Brook to create the Turkana Basin Institute and field school, TBI has been a hub of research and education for Stony Brook students and staff, international researchers and Kenyan locals. Discoveries in the area have given the scientific community greater insight into the Earth’s formation, human evolution and behavior, climate change and more. 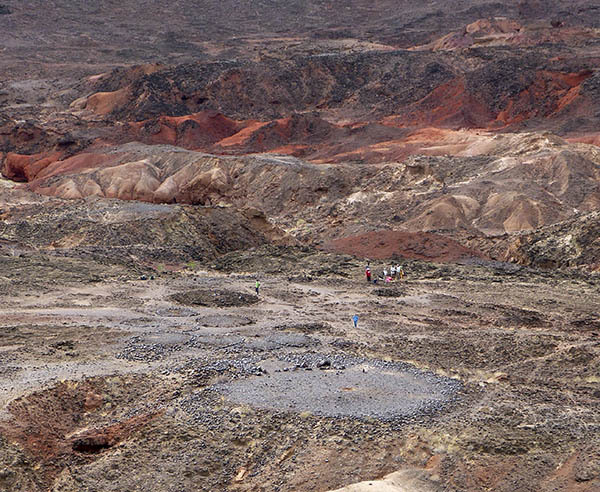 More than 5,000 years ago, the arid Turkana Basin was warm and verdant. At that time, the shores of Lake Turkana were a place of rest for pastoralists, mobile groups of fisher-hunter-gatherers. In 2009, an international team of archeologists led by Stony Brook’s Elisabeth Hildebrand began preliminary excavations of an area near the lake called Lothagam North. Lothagam North is one of six sites around the lake that are significant thanks to the presence of waist-high sandstone or basalt pillars, platforms, stone circles and rock piles. 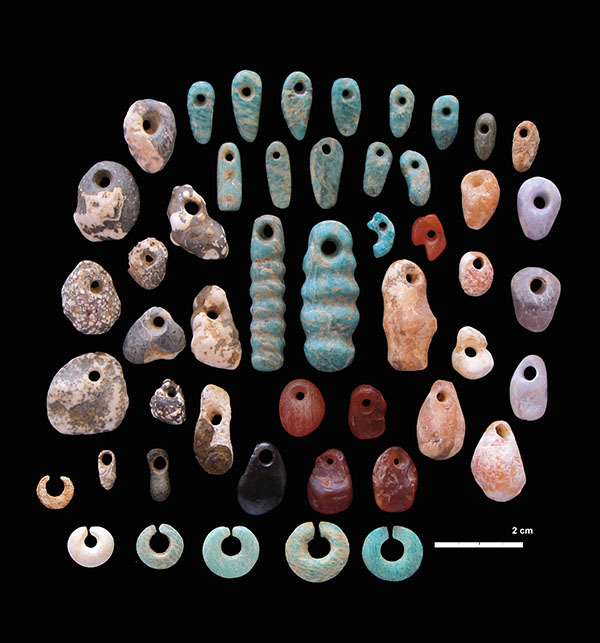 Stone pendants and earrings from the communal cemetery of Lothagam North, Kenya, built by eastern Africa’s earliest herders ~5000-4300 years ago. The team was hoping to learn more about when those structures were built. But in the process, they found something breathtaking and unexpected: the skull of a human infant buried less than two feet underground. Soon after, the team uncovered the remains of an adult just feet from the infant. 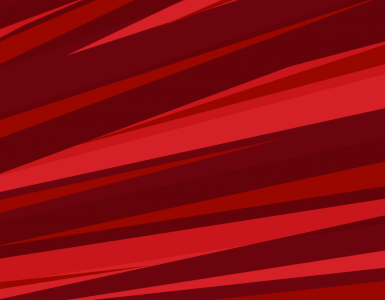 That discovery was the beginning of what they would unearth. 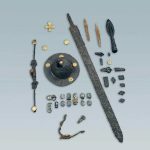 In fact, Lothagam North is home to a monumental burial site — essentially an ancient cemetery — containing the remains of more than 580 men, women and children, as well as elaborate personal effects. Benjamin Smith ’14 spent time at TBI as an undergrad, and then returned following graduation to assist with surveys and excavation at the pillar sites. Smith recalls his time there as a crucial experience for shaping his education and future career. His work at Stony Brook would eventually lead to his first published research article. He is now pursuing a doctorate at the University of Florida. 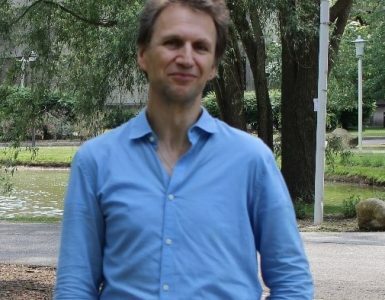 When Smith finally arrived at TBI’s field school in 2011, he recalled falling in love with Africa as he and 20 other students “bounced around in the back of a lorry.” Despite the intense heat, he loved going for hikes. While on those hikes, the students would often come across artifacts, such as bone harpoons from thousands of years ago, just sticking out of the sand, he said. Researchers from Stony Brook University team up with local Kenyan scientists and students for fieldwork at the Turkana Basin. 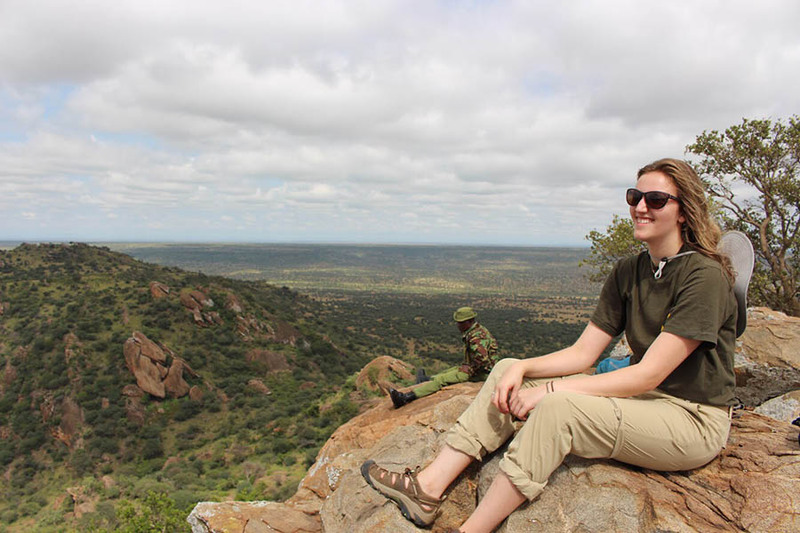 This past summer, Lucia joined a group of students for six weeks at Lake Turkana, working at sites on the west side of the basin. One site was inhabited more than 4,000 years ago by pastoralists, the same people who built the monumental burial structures at Lothagam North. Another area the group explored, more than 3.3 million years old, is the site of the world’s oldest stone tools. Ultimately, Lucia decided to leave anthropology behind to pursue a career in healthcare. While she’s not sure what’s next, she said that her experiences at TBI have given her a more holistic view of the human experience.